Disclosure: This is a sponsored post written by me on behalf of Duck Brand®. All opinions are 100% mine. 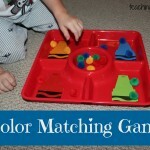 Kids learn best with hands-on activities. The majority of activities I share are hands-on and are fun for kids because I believe that’s the best way to teach children. 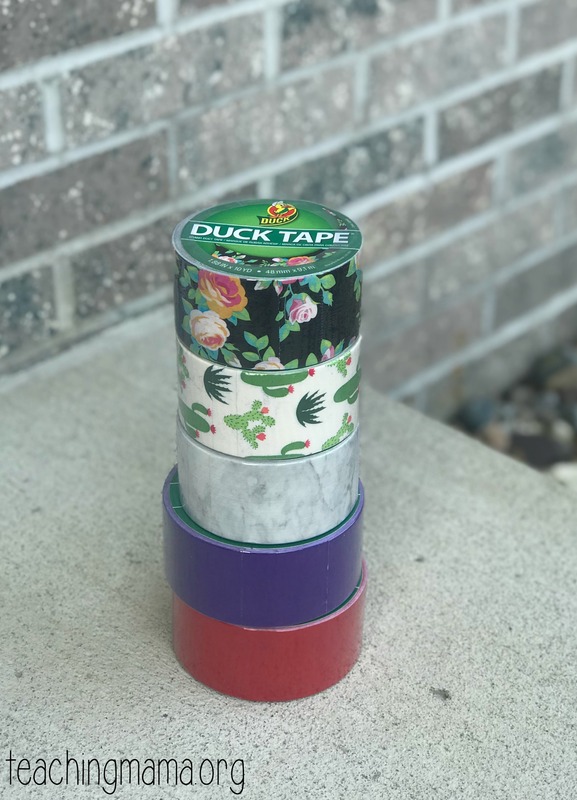 One easy way to make learning activities hands-on is by using Duck® brand duct tape. There are so many uses for this tape! Today I’m going to share some of my favorite ways to use it in the classroom. It is incredibly durable. The tape is sticky and will stick to any surface you put it on. You don’t have to worry about the tape coming up! They have such cute prints! I love the Printed Duck Tape®, but they also have Color Duck Tape® . It’s so versatile. I’ll be sharing some fun activities using it, but you could use it for so many things in daily life! 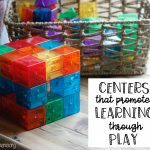 It’s an inexpensive way to encourage hands-on learning in the classroom! 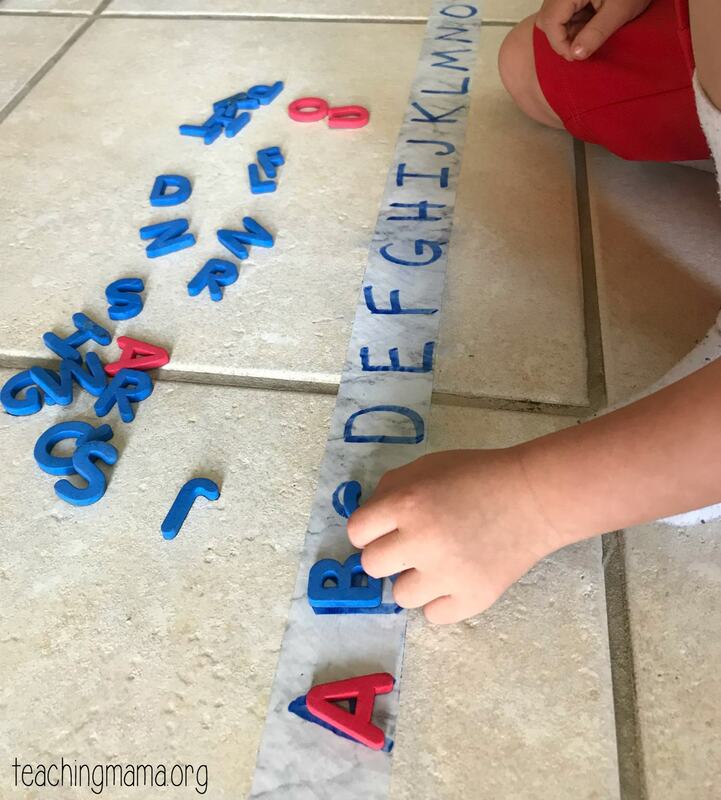 The ideas I’m sharing would be perfect to use with early childhood students, who are learning to sort, count, learning the alphabet, and practicing writing. 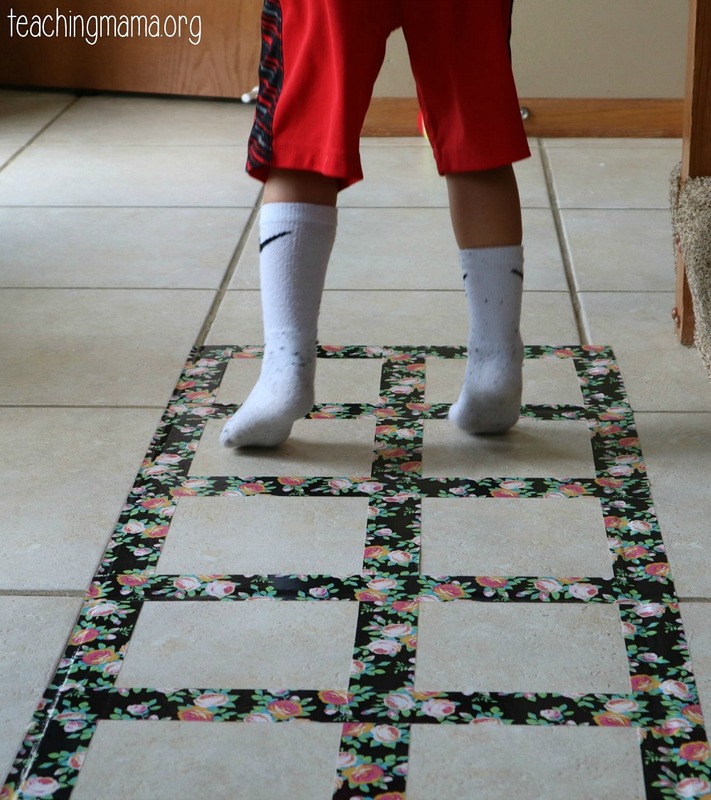 If you decide to try any of my activities, make sure to use test a small part of the surface using the tape to make sure it won’t damage your floor. I recommend using it on tile or even on a poster board if you don’t want to use the floor. 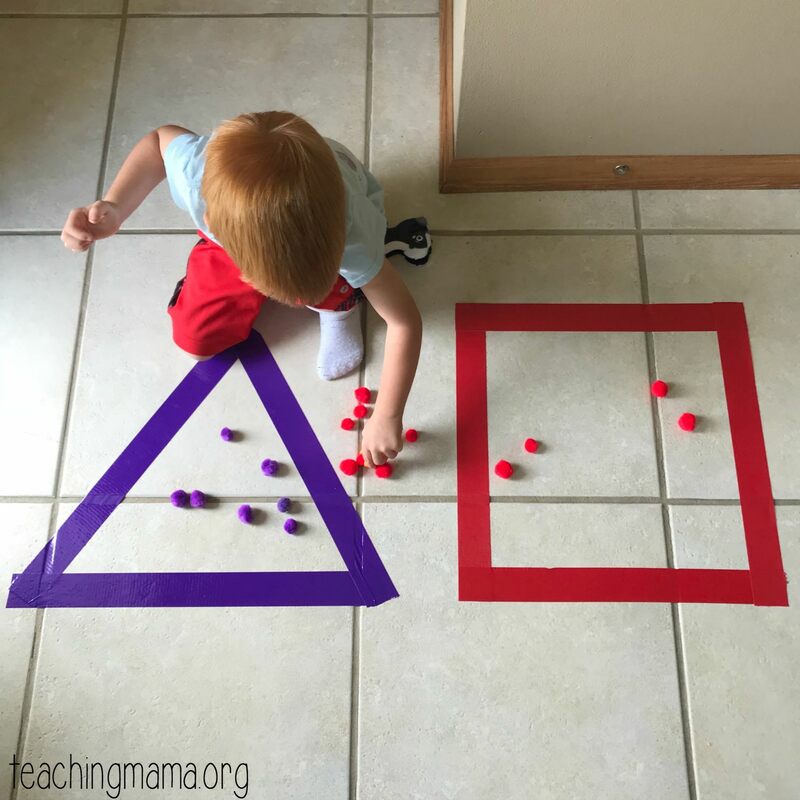 Ten frames are used frequently in early childhood classrooms to build number sense and work on mental math fluency. The goal is for children to look at a ten frame and see what the number is without even counting. A ten frame is a frame of ten boxes (five on top and five on the bottom). Teachers or students place manipulatives on the frame and the child shares how many there are. A strong sense of “ten” is a prerequisite for place-value understanding and mental calculations. It’s also great for composing and decomposing numbers. 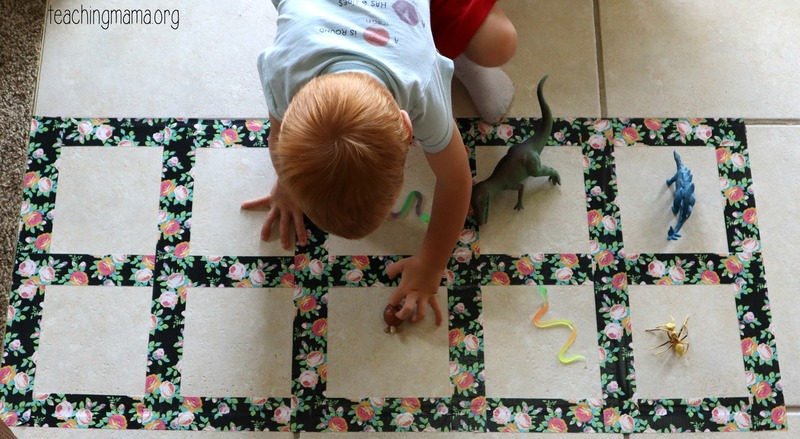 I created a ten frame using this pretty floral duct tape on our tile floor. I had my 4-year-old place an animal in the first box. Then another one in the second box. We continued doing this, while counting, until we had all ten. Then I would take away animals and he would practice reciting how many there were left. We did this for about ten minutes and in that short amount of time, I could tell my son had a better understanding of numbers. That’s why I love hands-on learning! 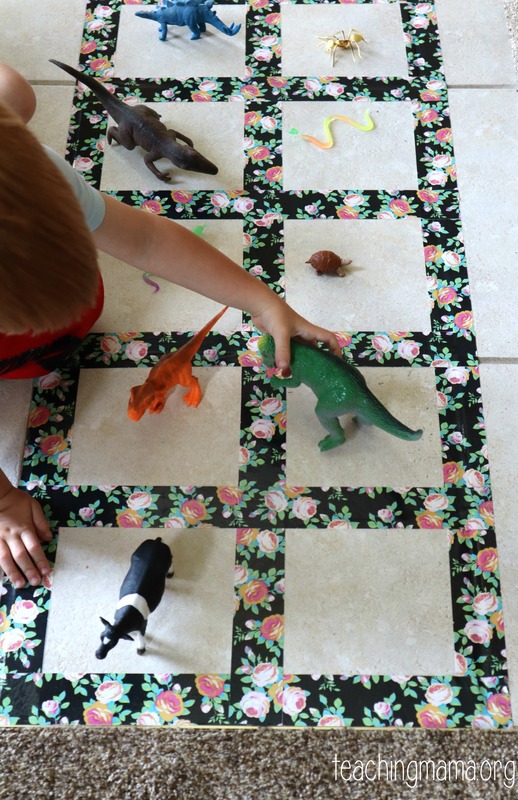 I loved using this Printed Duck Tape® because it was so secure to the ground and my son couldn’t just pull it up. Plus it looks so pretty! We used the ten frame for a gross motor activity. My son jumped in two boxes at a time and we counted by 2s while we jumped. Just a simple activity, but any time I can sneak movement and learning in, I do! I love using duck tape to practice sorting! It’s so easy and effective. I did three different sorting activities. 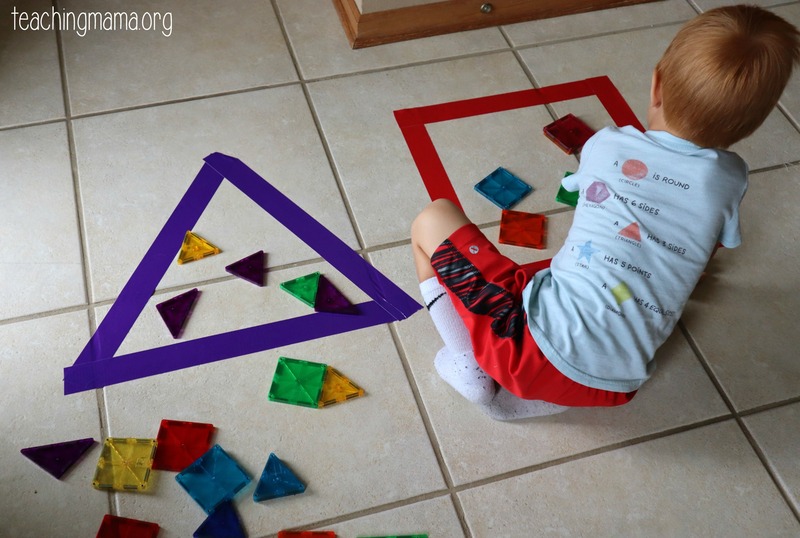 First, I created a red square and purple triangle using Color Duck Tape® and then gave my child a collection of triangle and square shaped Magnatiles to sort into the duct tape shapes. We also sorted by color. I gave him purple and red pom poms and had him use kid tweezers to sort. He loved it! For the last sorting activity, we used the Printed Duck Tape®. I placed animals out and made a square with the cactus duct tape. 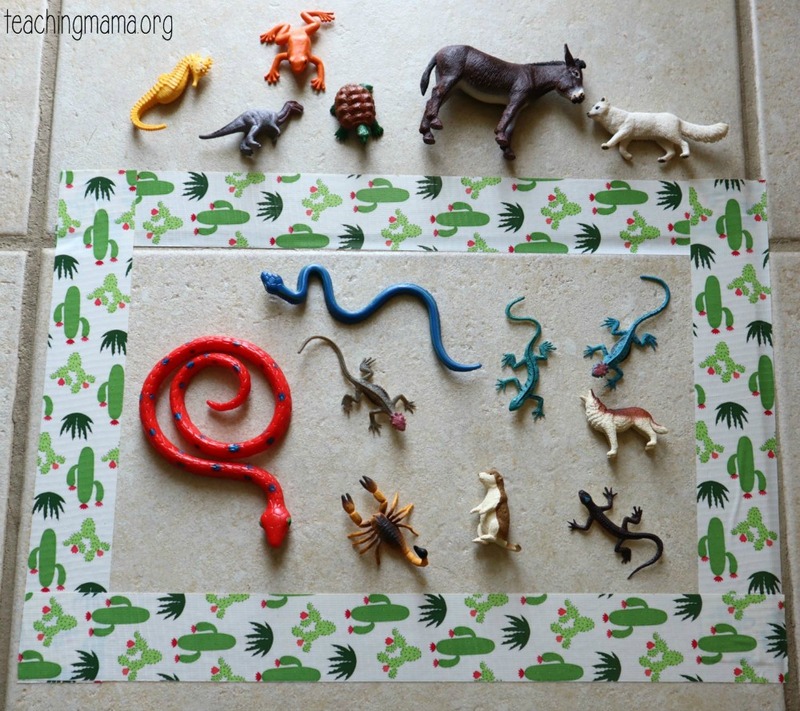 I had him place the desert animals inside the square and the other types of animals on the outside. 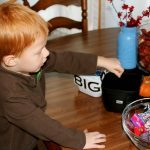 Sorting is an important skill to work on in early childhood classrooms, and this is an easy way to do it! For this activity, I laid a piece of the marble duct tape on the ground. Then, I used a dry erase marker to write alphabet letters on the tape. 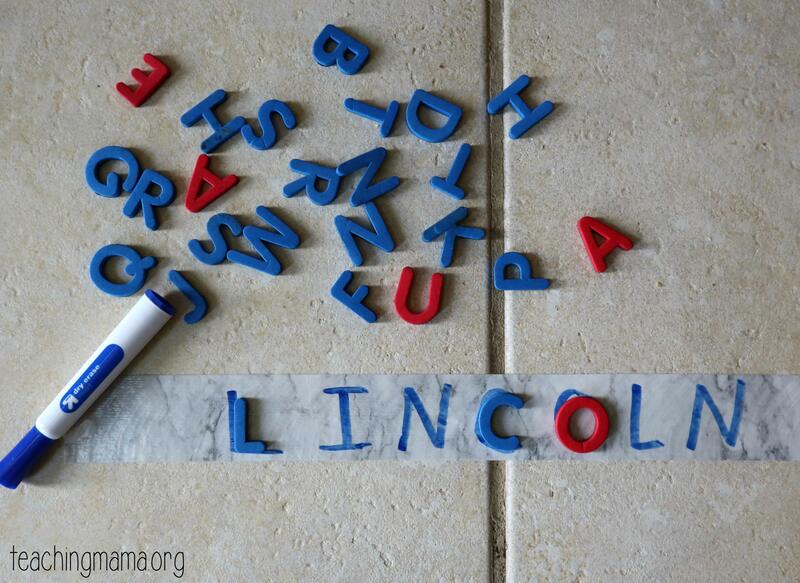 Next, I had my son match magnet letters to the ones on the tape. 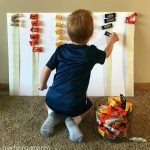 It’s so fun that you can use dry erase markers on Duck Tape! It comes off when you rub it. We also did this with his name. 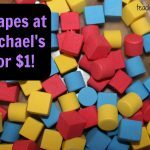 You could even use the tape to practice sight words and writing. 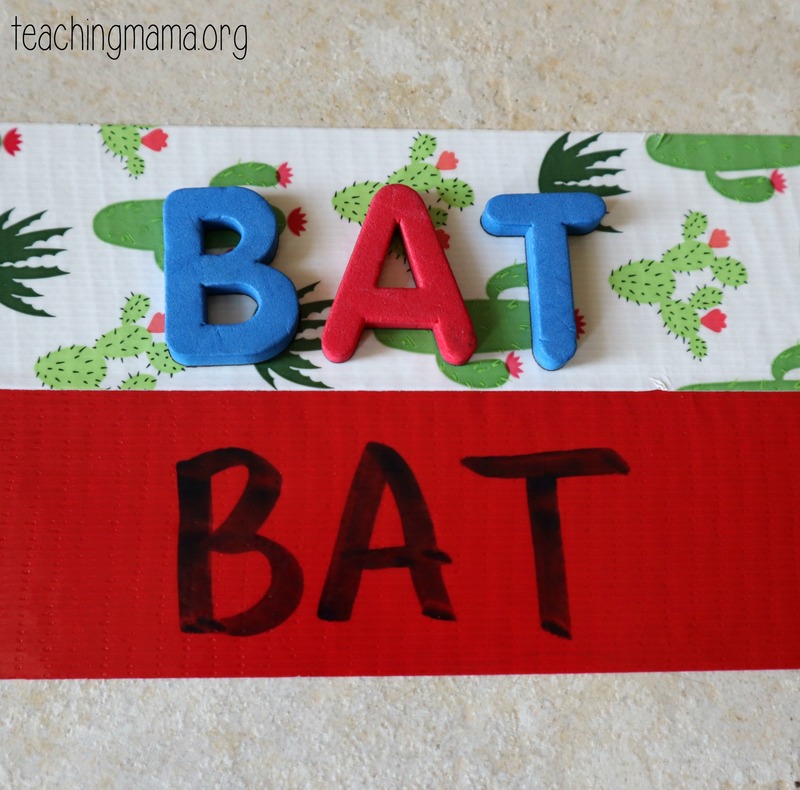 Just set out magnetic letters and have the child copy the letters to write a word. Or vice versa! When you’re done with the tape, you can wad it up and use it as a ball! It’s actually pretty fun to play catch with it and great for gross motor and hand-eye coordination. 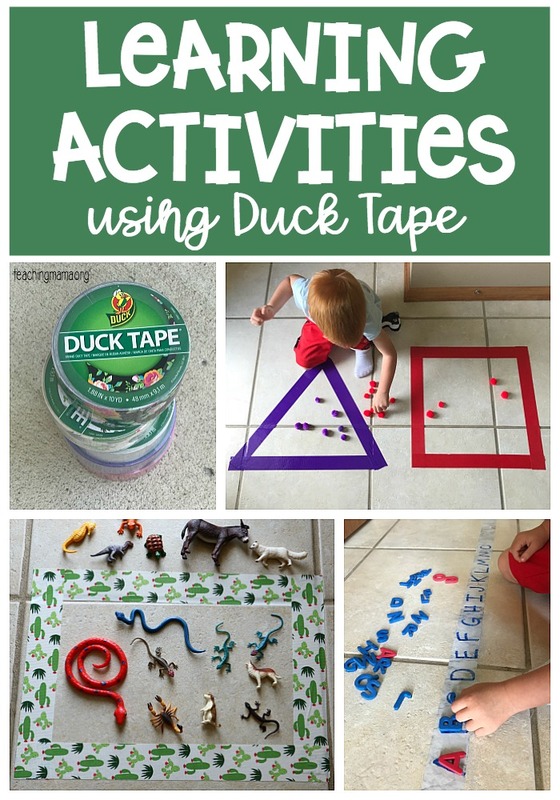 There are many more activities you could do with Duck® brand duct tape! 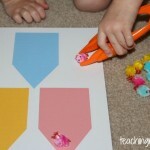 We love it because it’s versatile and and inexpensive tool for hands-on learning! Hope you’ll use this in your classroom! lowercase alphabet letters and another w/ both, so students have to match the lowercase w/ the uppercase to create the scene? Thank you so much! Thank you! Yes, I can certainly do that! I’ll get it done this week and email it to you (and I’ll add it to the post).